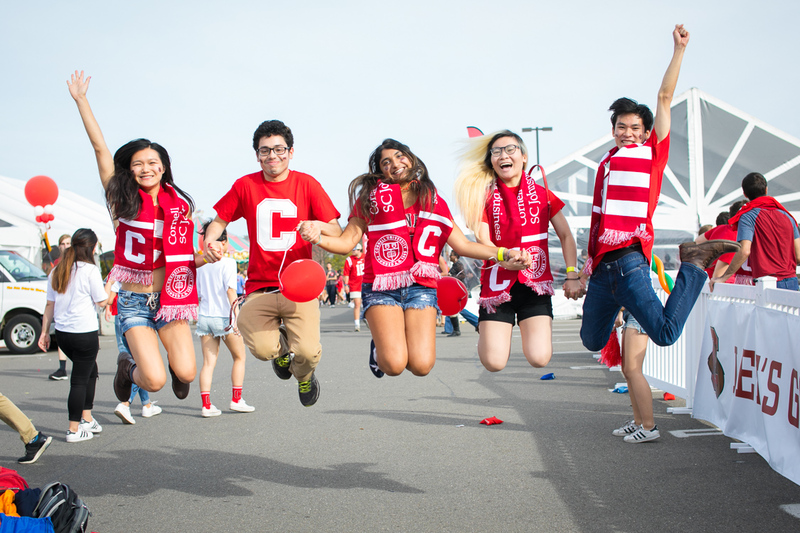 Everyone is invited to celebrate Cornell Homecoming and Big Red football with an assortment of free events geared toward all ages, including demonstrations from many of the colleges and units, tailgate parties, rides, music, and more. Food and beverages will be available for purchase from local vendors. This year, the Big Red takes on Yale at 3:00 p.m.
DON'T MISS: Free class t-shirts for undergrads and grad students, a visit from Touchdown, the Big Red Marching Band and much more!